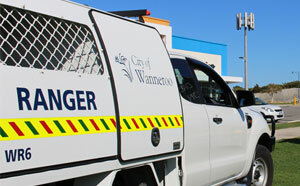 The City of Wanneroo is working with local schools to address traffic flow and parking issues. Mayor Tracey Roberts said school parking is often an issue for parents during school dropoff and pick-up and the City is working with schools and families to identify solutions. “Ensuring the safety of our children as they walk to and from school is a whole-community matter,” Mayor Roberts said. “Unfortunately, traffic flow and parking availability during school drop off and pick up times can create safety hazards for pedestrians as well as road users, with cars parked on verges and footpaths blocking safe walking areas and lines of sight. According to Mayor Roberts, the key to solving many school parking issues is awareness. “City of Wanneroo Rangers don’t enjoy issuing infringements, so they are proactively working with local schools on strategies to help educate families. The City is also providing detailed maps and parking information for schools to share with parents, and will use electronic message boards to let parents know when Rangers will be patrolling. A Junior Rangers Program for primary school children aged eight years and over is also being introduced for interested students. The City’s Rangers can be contacted 24/7 on 9405 5000 during office hours, or on 1300 138 393 after hours. Rangers can assist with issues including illegal rubbish dumping, reporting vandalism, lost/stray animals and illegal parking. However, Police assistance is required for instances of hooning, antisocial behaviour, alcohol/drug concerns, registering a party, noise complaints, burglary and assault. Residents are reminded to contact Police on 000 in an emergency or life-threatening situations, or 131 444 for Police assistance in non-emergency situations.